Deliciously Savvy received this item in exchange for an honest and unbiased review and all opinions are 100% my own. Regardless, I only review products that I am truly interested in for myself and my family and of course for sharing with my savvy readers! Thanks for stopping by and enjoy! Scarlet is loving the Yookidoo Musical Duck Race Bath Tub Toy and was literally screeching with excitement upon receiving it. This is an “A” battery operated bath toy that draws water from the tub and creates a unique fountain and race track. 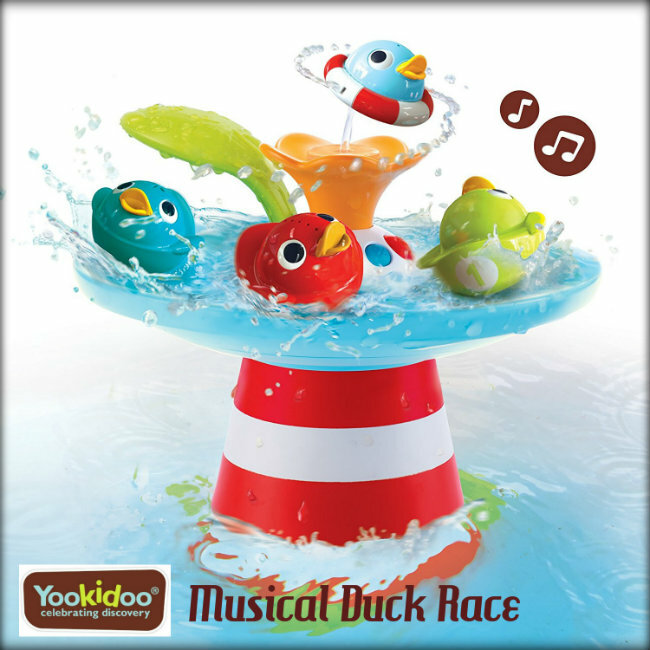 There is cheerful music that plays along while 4 colorful ducks race each celebrating bathtime™! What makes it super fun is that each duck features a unique different water spraying effect… so the fun is endless. There is a cool leaf lever that activates 9 random sound & water effects PLUS it has an automatic shut off feature after 3 minutes. This truly is the coolest bathtub toy ever…. your kiddos will love it. Check Out This Cool Video Showing How Much Fun Your Baby Will Have With The Musical Duck Race! 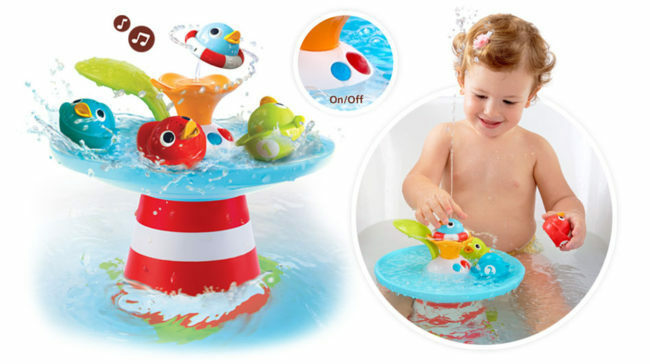 You can see that is a super fun bath toy that will make bath time something your kiddos will look forward to. I love this and the pressure of the water is just perfect as to not make a huge mess in your bathroom. This little fountain draws the water up to bring action to life and the ducks race and race around. The little leaf lever makes it easy to keep the fun going and going. This is just perfect for 6 to 36 months old…. 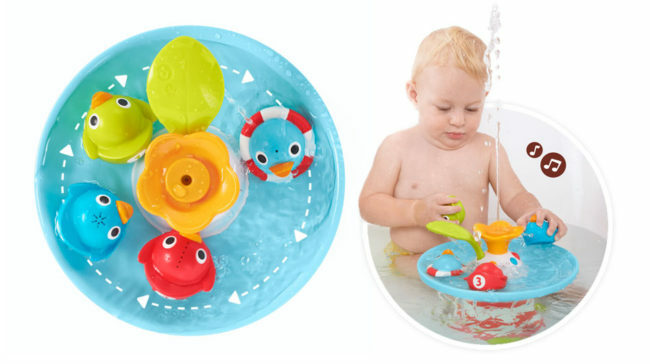 so there is lots of time to get hours upon hours of fun out of this super fun bath toy. Check Out All Of The Amazing Toys That Yookidoo Provides! Including my review of the Yookidoo Gymotion® Robo Playland! They have amazing products for your baby. They are a fabulous gift idea as well for the Holidays! Check Them Out Below…. As always, Thank You For Visiting Deliciously Savvy Today and Leave Some Comment Love While You Are Here! I love the whole concept of this toy for a little one. It is bright and colorful and would really engage a young child. The music is just an added bonus. This looks like a fun bath toy that will last for years. I like that it has ducks going around in circles and it’s colorful. This is so cute and would be very entertaining for my granddaughter in the bathtub. oh wow! so cute and safe. keep em clean! I love the concept of this toy. Most bath toys just float around more or less doing nothing!